Above: An elegant fence. Yes, if it’s black. 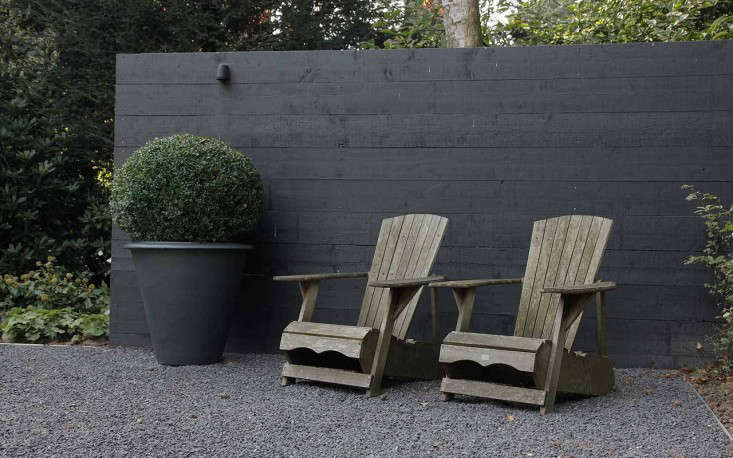 See our favorite dark backdrops in Trend Alert: Black Fences. How high should a fence be? For privacy, make it 5 or 6 feet tall. If you’re installing it to add curb appeal and don’t care about privacy, a fence that’s from 2 to 3 feet high will draw the eye and frame a view. Above: Make a small yard look more expansive with a horizontal slat fence. 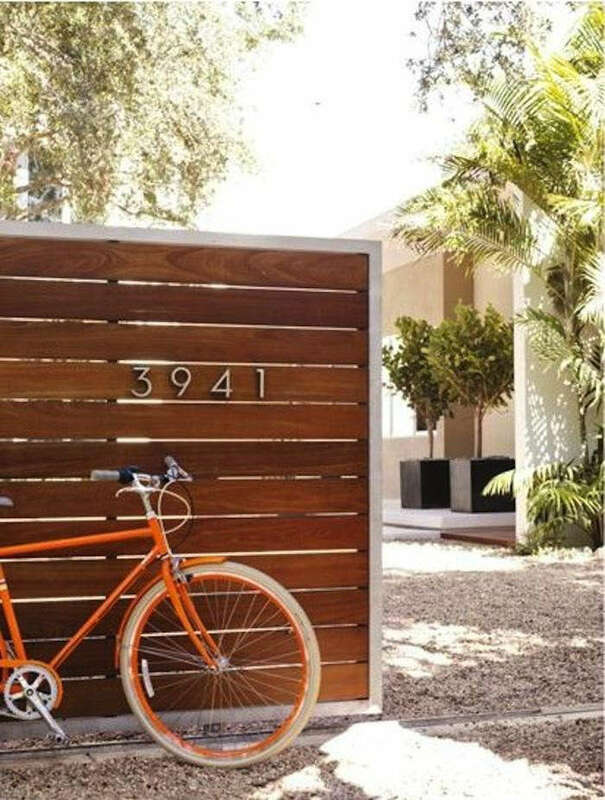 See our favorite examples in Fence Fashion: 11 Ways to Add Curb Appeal with Horizontal Stripes. Photograph by Nicole Franzen for Gardenista. 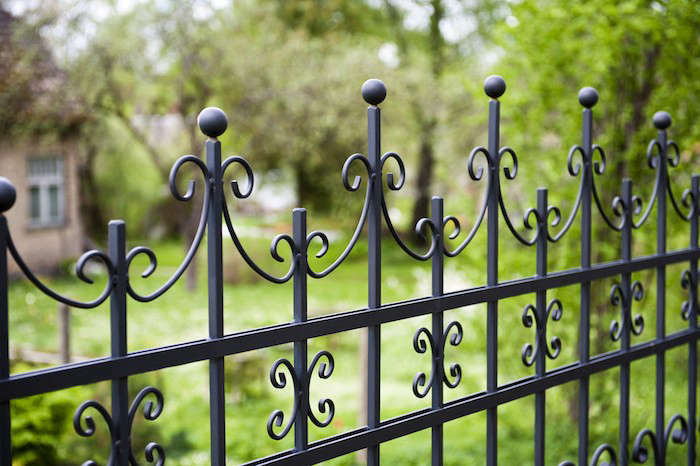 Above: Wrought iron, the ultimate in fence materials, is stately, strong, and secure. And pricy. Get the details in Hardscaping 101: Wrought Iron Fencing. Above: Photograph by Meredith Swinehart. Before the 20th century, ironwork was not black. 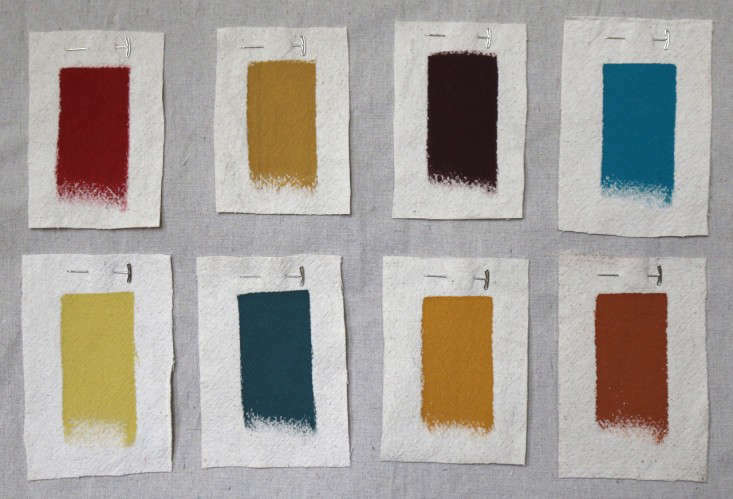 Find out what color the Sissinghurst Castle gates (and other British iron fences) were painted in Victorian times in Paint Colors for Iron Fences and Gates. Above: Photograph via Design Within Reach. If you install a wooden fence, you can stain it instead of painting it. 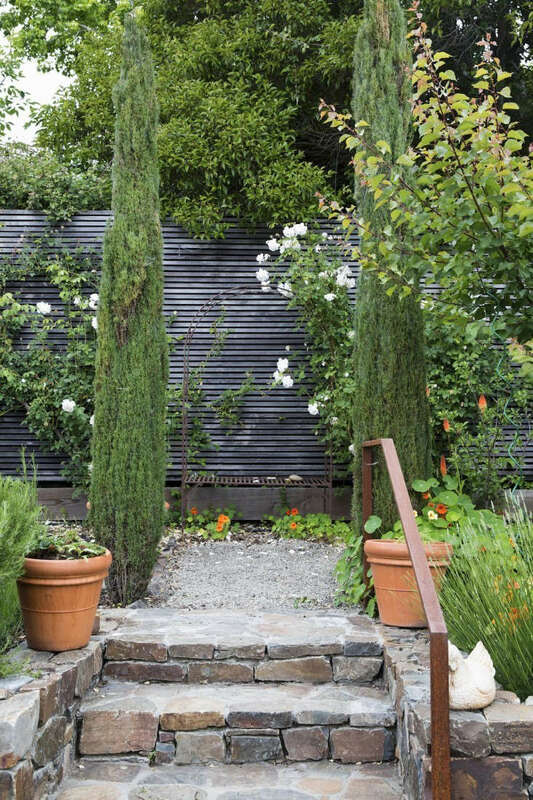 For more ideas, see Curb Appeal: Wooden Slat Fences. Above: Photograph by Meredith Swinehart. 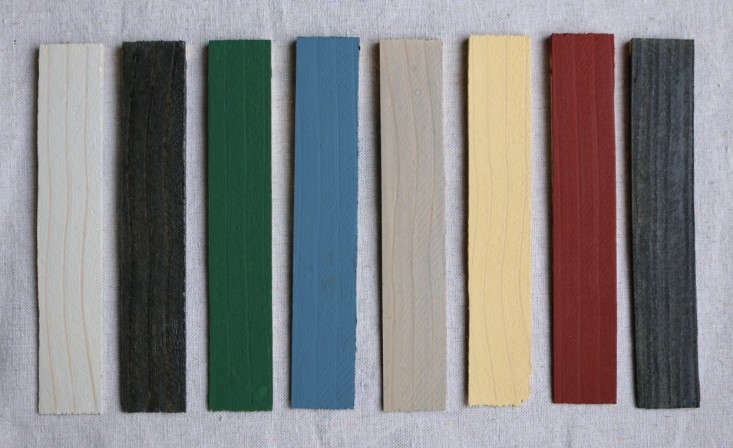 Looking for the perfect color of stain?Some of our favorite colorful exterior stains for fences are (from L to R) Behr Semi-Transparent in Cape Cod Gray; Timber Pro UV Semi-Transparent in Ebony; Olympic Solid in Forest; Olympic Solid in Wedgewood; Behr Semi-Transparent in Chatham Fog; Behr Semi-Transparent in Colonial Yellow; Olympic Solid in Winning Red; and Behr Semi-Transparent in Slate. Above: Photograph by Marla Aufmuth for Gardenista. 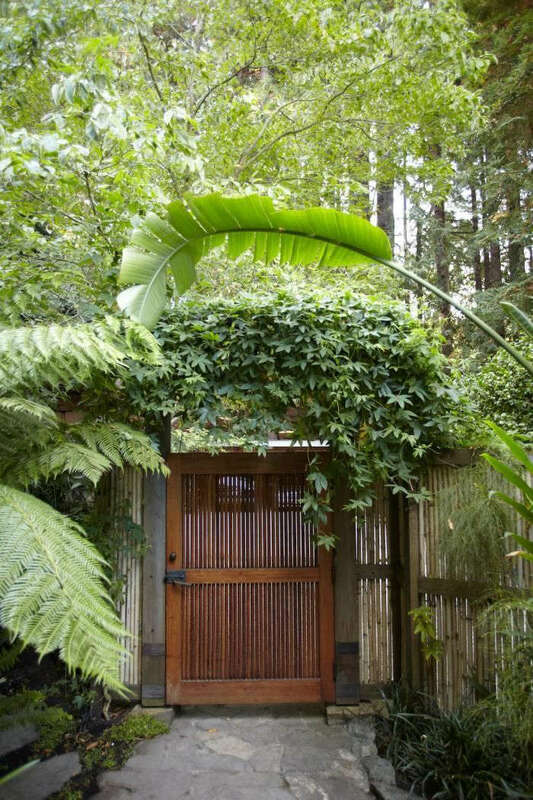 For a quick fix, try panels or rolled bamboo fencing or other instant fences. See our favorite choices in 10 Easy Pieces: Instant Fences. Above: Photograph by Nicole Franzen for Gardenista. An attractive option for a tight budget is a hog wire fence. Hog wire keeps varmints out and keeps costs low. For tips on how to install one to keep deer away, see Hardscaping 101: Hog Wire. Above: Photograph courtesy of Lisa Bynon Garden Design. 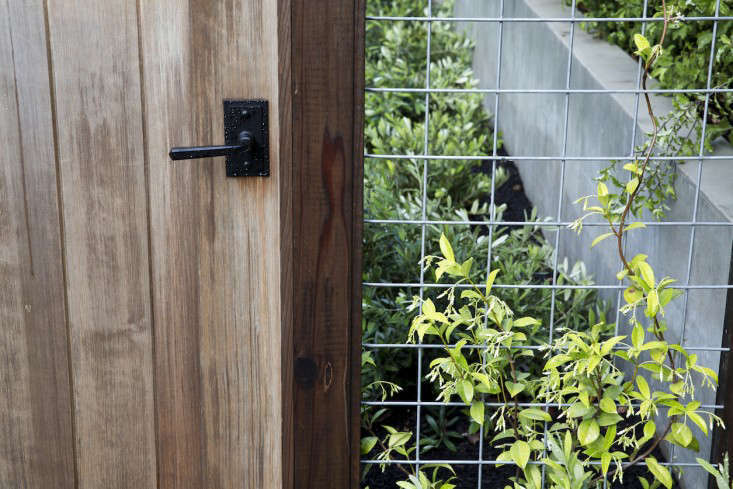 Hamptons-based garden designer Lisa Bynon designs stylish deer-proof fences for kitchen gardens. She reveals her secrets in The Landscape Designer is In: Elegant Deer Fencing, Hamptons Edition.